Image 1: Bondowoso’s Deathly Gate. This historical monument commemorates the three railway carriages carrying 100 people suspected of being a rebel by the Dutch colonial government. Those people were taken from this city and transported to the detention center in Surabaya on 23 November 1947. As many as 46 people died from dehydration, as the carriage was sealed and ventilation was prevented. 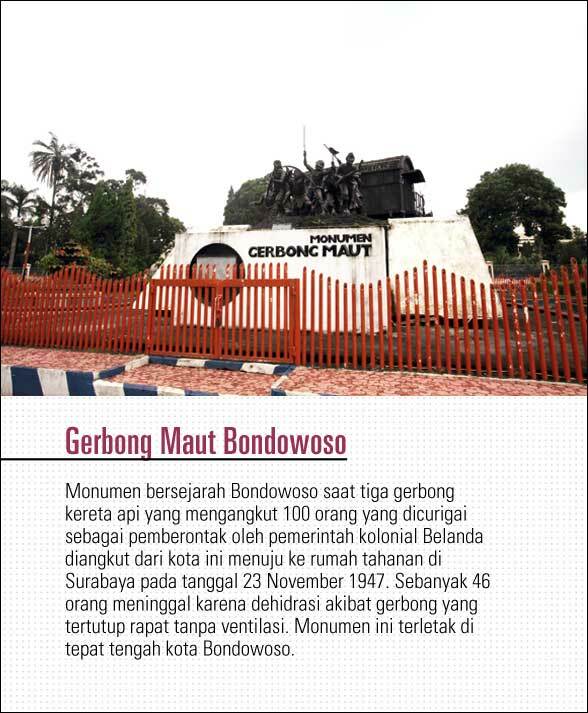 The monument is located right in the middle of Bondowoso city. It only took us an hour to reach Bondowoso from Jember, and I traveled by Yusri’s brand new black Toyota Avanza – so new, it still had that synthetic leather smell in it. Tagging along with me were Willy and Mono, who were both from Kediri. We started the journey right from the Indonesian Coffee and Cocoa Research Institution (CCRI) in Jember on Friday afternoon, last week. I took this opportunity to pay for an overdue respect to H. Sumarhum, an agricultural leader who is not only famous in Bondowoso, but also holds an important position in Gaperindo, which stands for Gabungan Asosiasi Petani Perkebunan Indonesia (Indonesian Plantation Farmers Association) at the national level. 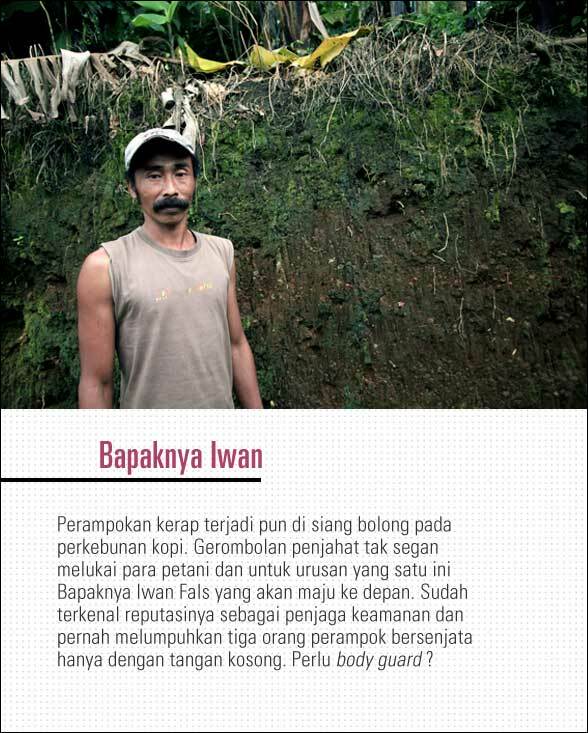 He is a role model for the farmers in Bondowoso. 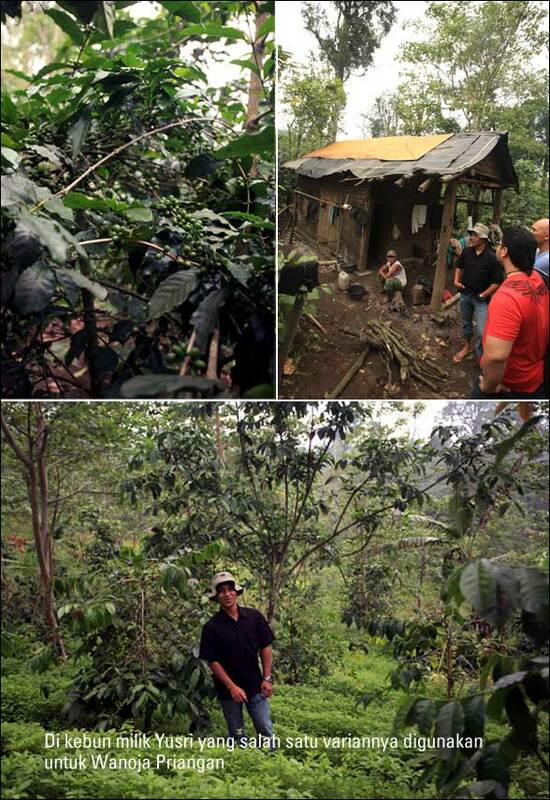 A person who has had a lot of water under his bridge; beginning his passion with coffee as a tenant farmer until he could finally purchase a land of his own, and at the same time, always stands on the frontline in defense of the coffee farmers’ interests and giving all his heart and soul into it with nothing in return. Why Would A Scholar Choose to Be a Coffee Farmer? On the way to Bondowoso, amidst the cloudy weather and the pitter-patter of the rain drops, Yusri told us how he started to become a coffee farmer – a career path that he had previously rejected so many times, even though it was an inherited family business. Having earned a bachelor degree and yet end up as a farmer, was the underlying reason why he rejected the idea. “I wanted to prove my parents that I could be successful in my own way, not as a coffee farmer like they are.” Explained Yusri. He started out as a driver who delivered vegetable produce to several central markets, and saw the opportunities that made him decide to plunge himself totally in the field. This was a decision that his father disapproved of, but took no action nor preventing Yusri from doing it, as he wanted Yusri to learn from his own experience. Having experienced in supplying vegetables made him learn about the ins and outs of making the wholesale market at various locations in Java, and soon he started getting lots of orders. The famous Bondowoso white cabbage was famous at one point, until one day, the bookies noticed that Yusri was doing so well so they played around with the market and he started having problems receiving his payments back from his customers. Hundreds of million rupiah of his investment was detained by the bookies – which was a large sum of money he’d promised Sumarhum to be returned, as it was the money acquired from selling Sumarhum’s car. Alas, he was once threatened with a machete by one of the bookies’ bodyguard and that discouraged him from collecting their debt. I Have to Return Dad’s Capital. Because he still had to return his father’s capital which he used to set up his business, he couldn’t go home empty-handed, so having only two million rupiah on loan from a friend in Bekasi, Yusri started his own business again, from scratch.. He still targeted his business around the city of Tangerang, but luck was not on his side. Struggling together with Dita, his wife, they rented a small room there, and Yusri eventually had to drive his wife back to Bondowoso because she became seriously ill after nearly half a year living in a tightly-spaced room. When he was in Bondowoso, his father Sumarhum asked him to deliver Luwak coffee to Anomali Coffee, which would later on be an important turning point in his life as a coffee farmer, right when he stepped foot at the comfortable café and embraced its atmosphere. “When I dealt with the people at the traditional markets, they were not concerned with image, but the coffee world is totally the opposite.” so he thought, as he lingered at Anomali Coffee at Jalan Senopati. It was then that he decided to go back home, to Bondowoso. 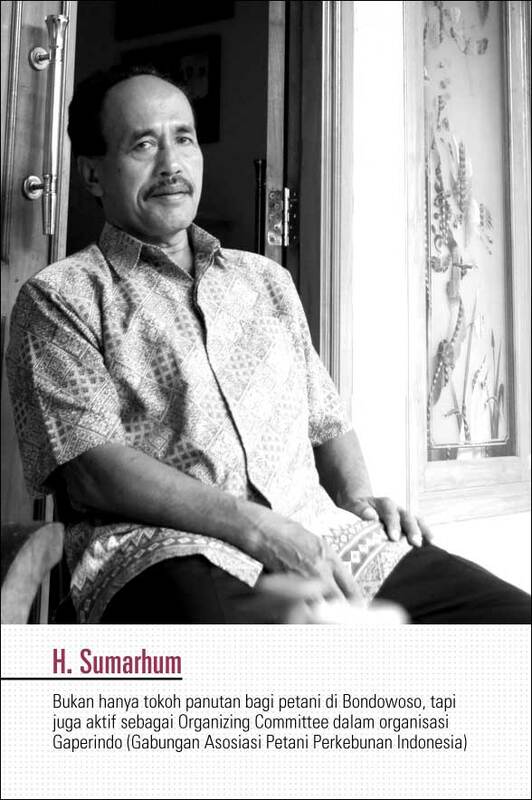 Sumarhum just smiled when seeing his son finally resigned to his fate as a coffee farmer and he fully supported his son’s decision to sell his truck so the money could be used as a start-up capital. Yusri used the money to purchase all kinds of coffee processing equipment available in his neighborhood, and he still uses them up to now. Then, last year in April, one of his friends told him to go online and look up Cikopi.com, which signaled the beginning of our affiliation. He reminisced on a funny incident while participating on an exhibition in Surabaya, which happened to be attended by Governor Soekarwo. During the event, Mr. Soekarwo approached his booth and saw a siphon device that instantly peaked his interest and he asked Yusri to demonstrate it. In truth, Yusri just bought the device and he was clueless about using it, but fortunately his laptop was connected to the Internet, so he opened my blog and looked up the post on operating a siphon device, and while he was reading it, at the same time he also demonstrated its usage to this very important guest. We arrived at Yusri’s residence at half past three in the afternoon, and moments later Sumarhum greeted us with a fresh platter of fried banana fritters and freshly brewed coffee in a French press. “My mother prefers Hario than any other brands, because according to her, the coffee dregs get filtered really well and of course it tastes more delicious that way,” says Yusri. Yusri said his mother used to consume coffee once a day, but now since using Hario, she consumed it three to four times a day. Yusri’s family are not the only ones who love using French presses, but his employees also became quite zealous devotees of the French presses, although the process itself sacrificed six Hario French presses for them to finally become devoted to the devices. 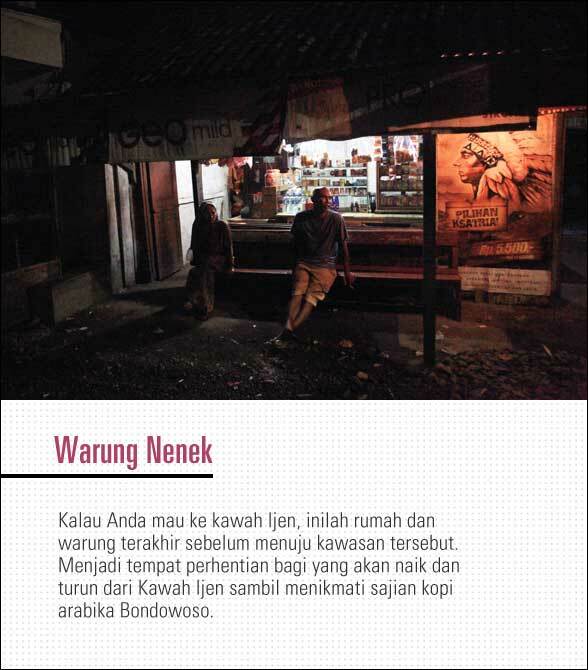 Image 3: Iwan’s daddy. Robberies also often occur in broad daylight, even on coffee plantations. Criminal gangs often do not hesitate to hurt the farmers and for this matter alone, Iwan’s daddy is more than happy to come forward. He already has a well-known reputation as a security guard and had crippled three armed burglars only with his bare hands. Care for a bodyguard? “Iwan’s daddy is the guardian of this plantation,” explained Yusri. “Our farm is sometimes visited by uninvited guests, especially during harvesting period, and they try to rob the crop by threatening us with sharp weapons. 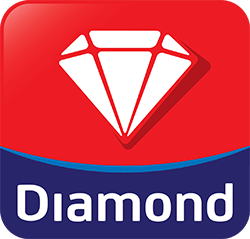 For this matter, Iwan’s daddy has quite a reputation in the village as the man who defeated three armed robbers only with his bare hands”. Not only is he good at scaring the pants of the robbers, he is also an expert in hunting wild animals that roam the woods surrounding the coffee plantations. The relayed trip by motorcycles was begun and I chose to ride with Iwan Fals, who rode a factory standard, totally unmodified motorcycle. 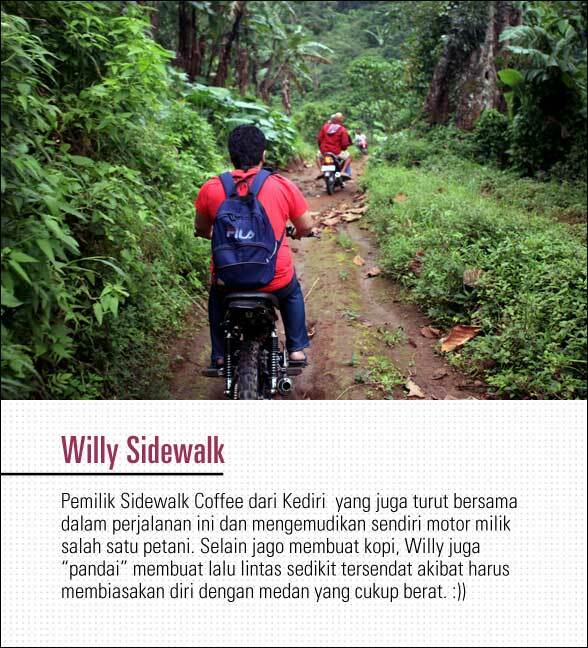 Willy was firm with his decision in riding on his own by a motorcycle that had been modified to be used in and around the plantation, while Yusri rode with Mono on his back. Image 4: Iwan Fals.His name is Iwan Fals; he is extremely good in maneuvering at high speed on the trail that is only 20 cm wide with his motorcycle that he rides with pride. Together, we treaded a plantation that reached up to 1600 meters high above sea level – one out of many plantations that Yusri owns at Sumber Weringin, Bondowoso. The trip was quite enjoyable in the beginning, although the track was a little slippery due to the rain the day before. I began to feel the horrible cold temperature and I found out from the farmers that the height there had reached 1200 meters above sea level. The road became narrower and narrower, to a width of about 20 cm, with the shrubs and chasms on my left and right. The road continued to climb and Willy’s motorcycle began to wobble and even slipped here and there, and Iwan Fals couldn’t help but smile. To speed up the trip, Iwan stepped on the gas and cruised with me, leaving the group behind. The tricky treks were in fact a part of his daily life and having a person like me on his back didn’t slow him down one bit. 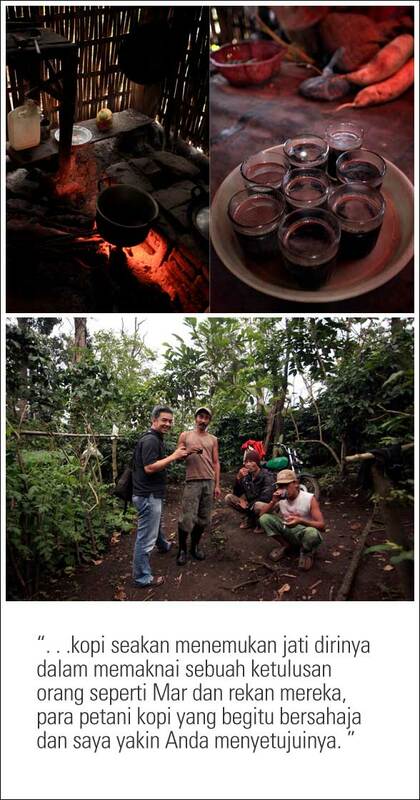 “If you take 150 pounds of coffee, it is quite difficult due to the heavy loads and the steep streets,” he said. “…But I’m used to it.” he continued with a smile. As we reached further up, the cold air and the thick mist really made me shiver, and clumsy me, I forgot to bring a jacket. Halfway on our ride, we stopped over for a break and Yusri had a chance to show me a coffee plantation for a certain variant that doesnt take a lot of space, and his plan to replace the robusta variant to arabica in the near future. We then continued the journey and 45 minutes went past without us realizing it, as we finally arrived at a small ‘cottage’ in a hut that was used daily by Yusri. An old man suddenly appeared from the hut and Yusri introduced him as Mar, a farmer who owns a one hectare land in the neighbourhood – a relatively small size, in terms of commercial space. “Why don’t you ask your friends to have some coffee at my place,” he spoke in Maduranese to Yusri; an invitation we immediately accepted. 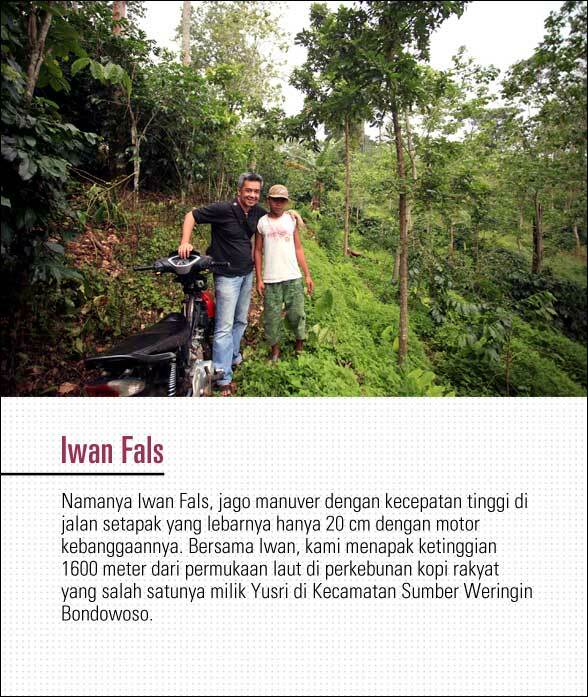 In one of Yusri’s farms which grew a variant used to created my Wanoja Priangan. Pak Mar only lives alone with his devoted wife who has accompanied him, in a hut with a size of no more than 30m square. There is no living room, just a little daybed as their resting corner, which is placed next to the kitchen, where they cook everyday. There is no radio let alone a television because electricity is something of an oddity up there in the mountains, but the couple remain faithful to each other in taking care of their small coffee farm as they have been staying there for years. He then asked his wife to boil some water and soon after we enjoyed a cup of hot coffee at an altitude of 1600 meters in the weather that might have been around 15°C. Perhaps many people have felt a similar experience to what we had, but at that time, we felt as though coffee had represented itself in the sincerity of the people like Pak Mar and their companions – the coffee farmers who are humble and simple people, which I’m sure you will agree. Used to be called as Pak Mar (Mr. Mar), he is a coffee farmer who lives alone with his wife in a small cottage in the middle of the farm. People like Mar is a hero on the upstream side who makes the existence of specialty coffee a possibility to be enjoyed by his fans. We had to head back down the mountain to avoid the fog that had become increasingly hostile, so in the drizzling rain we said goodbye to Pak Mar and his wife. We arrived back at our base camp at nearly seven in the evening, and immediately we were treated to dinner that featured rice maize, bamboo shoots stir fries, fried noodles, long beans stir fries and crackers – all served at Iwan’s daddy’s house. The cold air really did make us feel extremely hungry and soon enough, everything that was served for us was finished in no time, as we ate with gusto, with the host throwing jokes at us, and the neighbors joining us for dinner; making the experience merrier. Unfortunately at that time the radio didn’t play songs from Pantura (The Northern Coasts) musicians like Reni Farida or Sumiati with their charming tom-toms while singing Mendem Roso (Holding Back the Feelings) and Cemeng Manggis. Otherwise, it would have made the evening perfect. However, it was an unforgettable and a near perfect moment that left a deep impression in me. So with that, I end my report from my journey to Java Raung’s and the P’s headquarter. I’ve been to Arabica coffee plantations several times, but Bondowoso leaves a deep impression that it revises my opinion in looking at a mere cup of coffee. Agricultural professions such as the coffee growers in Bondowoso are definitely not for the faint-hearted. Challenging nature, poor infrastructure, the risk of robbery and the assaults of wildebeest, not to mention the inconsistent crop produce, and yet amidst of all those challenges, they stand to survive. So let me enjoy the coffee that comes from their hard work, because we may often forget, as stated by Daniel Webster, of people like Mar, Arham, Iwan’s daddy, Iwan Fals and Yusri who are the laying foundations of a civilization which allows us to enjoy our lifestyle merely through a single cup of coffee. Jember ke Bondowoso hanya mengambil masa satu jam dengan mobil Toyota Avanza milik Yusri yang berwarna hitam dan masih terasa wangi dari pabriknya. Turut menemani saya Willy dan Mono keduanya dari Kediri dan kami memulai perjalanan dari Puslit Jember tepat tengah hari Jumat minggu kemarin. Saya menggunakan kesempatan ini sekaligus untuk sowan dengan H. Sumarhum, tokoh pertanian yang bukan hanya terkenal di Bondowoso, tapi juga memegang posisi penting dalam organisasi Gabungan Asosiasi Petani Perkebunan Indonesia (Gaperindo) di tingkat nasional. Inilah tokoh panutan bagi kelompok tani di kota Bondowoso yang sudah merasakan asam garam dari mulai petani penggarap hingga akhirnya bisa memiliki lahan sendiri dan selalu berada di garda terdepan dalam membela kepentingan mereka tanpa pamrih. Sarjana koq jadi petani kopi ? Dalam perjalanan ke Bondowoso dengan cuaca mendung dan hujan rintik Yusri bercerita bagaimana saat awal mulanya ia memutuskan menjadi petani kopi yang sebelumnya selalu ia tolak tawaran mewarisi usaha keluarganya. Lulusan universitas koq jadi petani, itu yang melandasi keputusannya untuk tak bersentuhan dengan dunia perkopian. “Saya ingin membuktikan kepada orang tua agar bisa sukses, tapi tidak sebagai petani kopi” itu awalnya kata Yusri. Memulai profesi sebagai supir pengantar hasil bumi berupa sayur mayur ke berbagai lokasi pasar induk dan melihat peluang yang bagus di bidang ini, akhirnya ia terjun total. Sebuah keputusan yang sebetulnya tak begitu disetujui oleh ayahnya Sumarhum, tapi dibiarkan agar anaknya bisa mencari pengalaman sendiri dan ia tak pernah mengambil tindakan apa-apa. Petualangan sebagai pemasok sayur mayur membuatnya mengenal seluk beluk pasar induk di berbagai lokasi di pulau Jawa dan mulai banyak mendapatkan pesanan. Sayur kol dari Bondowoso yang terkenal itu menjadi primadona hingga suatu saat, secara perlahan pembayaran mulai macet di sana sini karena para bandar yang nakal mulai mempermainkan pendatang baru dari Bondowoso ini. Ratusan juta rupiah modalnya macet di tangan mereka padahal uang tersebut dari hasil penjualan kendaraan milik Sumarhum yang dijanjikan akan segera dikembalikan. Namun apa daya, ia pernah dikalungi celurit oleh pengawal sang bandar dan membuatnya mengurungkan niat menagih hutang. Saya harus mengembalikan modal dari Bapak. “Karena harus mengembalikan modal, ia akhirnya tak berani pulang dan hanya berbekal uang dua juta pinjaman dari teman sekampungnya yang tinggal di Bekasi, Yusri memulai lagi dari nol. Usahanya masih berkutat di sebuah pasar kota Tangerang, namun keberuntungan masih belum berpihak kepadanya. Berjuang bersama Dita, istrinya dengan mengontrak sebuah kamar kecil akhirnya Yusri harus kembali ke Bondowoso mengantar istrinya yang sakit keras setelah hampir setengah tahun tinggal di kontrakan yang sempit. Saat di Bondowoso ia diminta Sumarhum untuk mengantarkan kopi luwak ke Anomali Coffee, yang akan menjadi titik balik penting dalam sejarahnya hidupnya sebagai petani kopi saat merasakan aura cafe yang nyaman. “Kalau saya berdagang sayur urusannya sama orang-orang pasar yang tak pernah mementingkan penampilan, tapi dunia kopi sungguh bertolak belakang” begitu pikirnya saat betah berlama-lama duduk di Anomali Coffee jalan Senopati, dan setelah itu Yusri langsung beranjak pulang ke Bondowoso. Sumarhum tentu hanya tersenyum saat sang anak sudah kembali ke khittah sebagai petani kopi dan mendukungnya saat mobil truk miliknya dijadikan modal. Yusri menggunakan uangnya untuk membeli berbagai alat pengolahan kopi di dekat rumahnya yang masih digunakan hingga sekarang. Salah seorang temannya menyuruhnya untuk membuka blog cikopi.com dan jadilah pertemuannya dnegan saya terjadi April tahun kemarin. Ia menceritakan sebuah kejadian lucu saat mengikuti pameran di Surabaya yang kebetulan dihadiri oleh Gubernur Soekarwo. Tiba-tiba pak Gubernur mendatangi tempatnya dan melihat alat syphon yang langsung membuatnya tertarik dan meminta Yusri mempraktekannya. 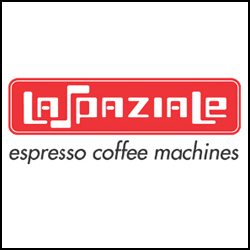 Padahal alat itu baru saja dibeli jadi belum paham cara menggunakannya, tapi untunglah laptopnya bisa tersambung ke internet dan sembari melihat postingan coffee syphon ia pun beraksi di hadapan tamu penting tersebut. Jam setengah tiga sore kami tiba di kediaman Yusri dan beberapa saat kemudian Sumarhum menyapa kami dengan sajian pisang goreng hangat dan kopi dari alat french press. “Ibu saya harus menggunakan Hario karena menurutnya ampas kopi benar-benar tersaring dibanding merek lain dan tentu saja semakin nikmat rasanya. Menurut Yusri, dulu ibunya hanya ngopi sekali per hari, kini sejak menggunakan Hario 3 hingga 4 kali adalah konsumsi rutin setiap hari. Bukan hanya keluarga Yusri, para pegawainya pun ikut-ikutan demam french press walau awalnya harus merelakan 6 Hario pecah. Hanya sebentar berbincang dengan Sumarhum sebelum kami berganti kendaraan Daihatsu Taft yang lebih tangguh untuk memulai perjalanan ke kebun kopi arabika di ketinggan lebih dari 1000 meter. Sekitar 45 menit perjalanan, kami sapai di desa terakhir dan harus berganti kendaraan motor karena medan yang cukup berat untuk bisa dilalui oleh mobil. Para petani yang berbahasa Madura tentu agak sedikit heran dengan rombongan orang kota yang tersesat masuk kampung mereka. Tapi semuanya menyambut ramah walau mereka banyak yang menggunakan bahasa Madura. Serang bapak berkumis yang berotot tersenyum dan kami kenal namanya dengan Bapaknya Iwan. Dipanggil seperti itu karena anaknya bernama Iwan Fals, penyanyi yang ia kagumi sehingga dinisbahkan kepada anaknya yang jago ngebut itu. “Bapak Iwan adalah penjaga keamanan kebun di sini” kata Yusri. “Kebun kadang didatangi tamu tak diundang saat panen kopi dan mencoba merampok hasil panen dengan senjata tajam. Untuk urusan yang satu ini Bapaknya Iwan sudah punya reputasi harum di kampung tersebut sebagai jawara yang pernah mengalahkan tiga orang perampok bersenjata hanya dengan menggunakan tangan kosong. Bukan hanya jagon membuat ngeper para perampok, ia adalah pemburu ulung berbagai binatang yang berkeliaran di hutan sekitar kebun kopi. Maka perjalanan estafet dengan motor pun dilakukan dan saya memilih Iwan Fals yang membonceng saya dengan motor standar pabrik yang tak ia rubah sedikitpun. Willy yakin dengan pilihannya dan menunggangi sendiri motor yang memang sudah banyak diubah untuk keperluan kebun, sedangkan Yusri mengangkut Mono. Di tengah perjalanan sempat berhenti sejenak dan Yusri menujukan satu varian kopi yang ukurannya tak terlalu luas beserta rencana penggantian robusta menjadi arabika di waktu dekat ini. Perjalanan berlanjut hingga tak terasa kami sudah mengendarai motor selama 45 menit dan akhirnya tiba di “pondok” sebuah gubuk kecil yang menjadi markas Yusri sehari-hari. Seorang bapak tua tiba-tiba datang dan dikenalkan oleh Yusri sebagai Mar, petani yang punya lahan satu hektar, relatif kecil untuk ukuran komersial. “Ajak temannya untuk ngopi di tempat saya” mungkin begitu yang ia sampaikan dalam bahasa Madura ke Yusri yang langsung kami terima. Awalnya perjalanan masih cukup menyenangkan walau jalanan hanya tanah yang sedikit licin karena hujan sehari sebelumnya. Udara dingin sudah mulai menusuk dan saya tahu dari para petani bahwa ketinggian di sini sudah mencapai 1200 meter dari permukaan laut. Lama-kelamaan jalan semakin menyempit dengan lebar sekitar 20 cm sementara kiri dan kanan alang-alang dan di beberapa bagian terdapat jurang walau tak terlalu dalam. Jalan terus menanjak dan motor yang dikemudikan oleh Willy sedikit tertatih dan sesekali slip yang membuat Iwan Fals senyum-senyum. Untuk mempercepat perjalanan, Iwan langsung tancap gas dan melenggang bersama saya meninggalkan rombongan jauh di belakang. Jalan di sini memamng makanan sehari-harinya dan membawa satu orang seperti saya bukanlah pekerjaan berat. “Kalau bawa kopi 150 kilo cukup susah karena beban yang berat dan jalanan yang curam” katanya. “Tapi sudah biasa koq” senyumnya. Tapi semakin ke atas, udara dingin semakin menusuk disertai kabut yang mulai tebal dan sialnya saya tak membawa jaket. Mar hanya tinggal berdua dengan istri yang setia menemaninya dalam sebuah gubuk dengan ukuran tak lebih dari 30m persegi. Tak ada ruang tamu, hanya sebuah dipan kecil tempat mereka beristirahat yang di sampingnya langsung berhadapan dengan dapur untuk masak sehari-hari. Tak ada radio apalagi televisi karena listrik adalah barang aneh di pegunungan, tapi sepasang suami istri ini tetap saling setia menjaga kebun kopinya yang tak seberapa dan tinggal selama bertahun-tahun di sini. Ia lalu meminta istrinya menjerangkan air dan selang beberapa waktu kami pun menikmati secangkir kopi panas di ketinggian 1600 meter dalam cuaca yang mungkin sekitar 15 derajat celsius. Mungkin banyak orang yang sering merasakan pengalaman serupa, tapi buat kami saat itu, kopi seakan menemukan jati dirinya dalam memaknai sebuah ketulusan orang seperti Mar dan rekan mereka, para petani kopi yang begitu bersahaja dan saya yakin Anda menyetujuinya. Image 8: Pak Mar and wife. The husband and wife who have been living in their own farm for years. 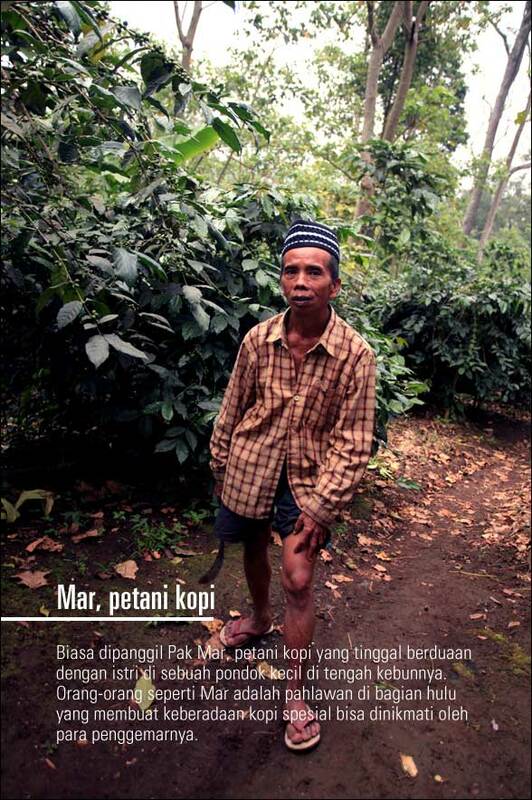 Image 9: Coffee has represented itself in the sincerity of the people like Pak Mar and their companions – the coffee farmers who are humble and simple people, which I’m sure you will agree. 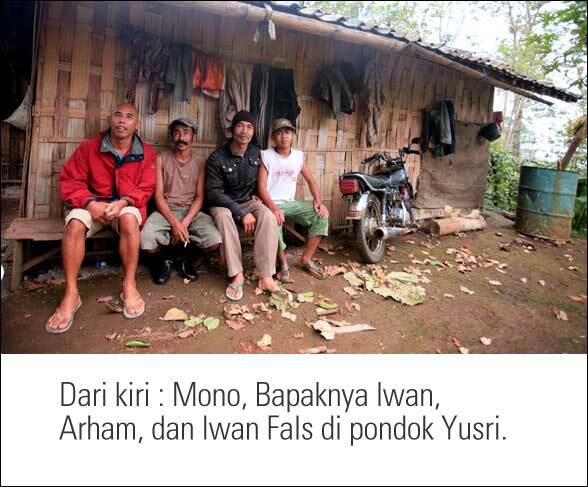 Image 10:.From left: Mono, Iwan’s daddy, Arham, and Iwan Fals at Yusri cottage. Kami harus segera kembali untuk menghindari kabut yang semakin tak bersahabat dan sedikit gerimis hujan sambil berpamitan kepada Mar dan istrinya. 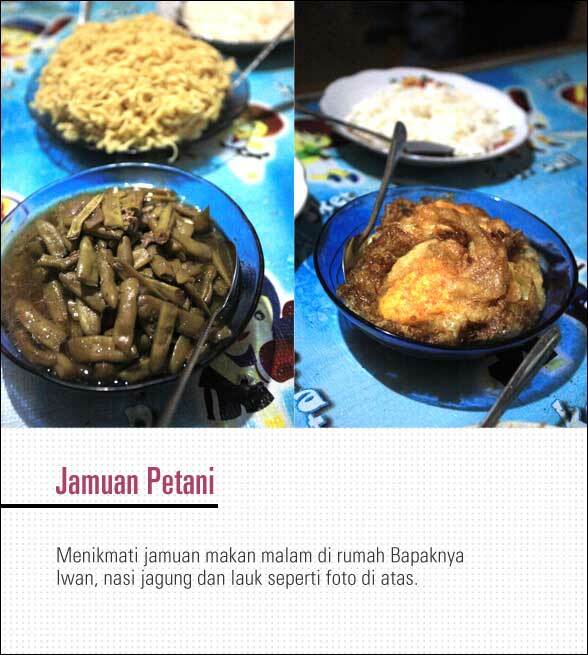 Tiba kembali di base camphampir jam 7 malam dan segera disuguhi makan malam dengan menu nasi jagung, sayur rebung (bambu muda), mie goreng, sayur buncis, dan kerupuk di rumahnya Bapak Iwan. Udara dingin memang membuat perut cepat lapar dan sepiring nasi beserta lauk pauknya tandas seketika dalam sebuah acara makan malam yang disertai canda tuan rumah dan beberapa tetangga yang ikut bergabung makan dengan kami. Sayang saat itu radio belum memainkan artis Pantura seperti Reni Farida atau Sumiati dengan kendang kempulnya yang menawan sembari melantunkan tembang “Mendem Roso” dan “Cemeng Manggis”. Tapi inilah sebuah penutup perjalanan berikut sedikit petualangan di markas Java Raung dan si “P”. Image 11: Farmers banquet. Enjoying homemade dinner at Iwan’s daddy’s, which featured rice maize and a variety of side dishes, as shown above. Saya sudah beberapa kali ke perkebunan kopi arabika, tapi Bondowoso meninggalkan kesan yang sangat mendalam untuk kembali merevisi pendapat saya tentang arti secangkir kopi. Profesi agrikultur seperti petani kopi Bondowoso bukanlah buat orang yang mudah patah arang. Alam yang cukup berat, miskinnya infrastruktur, resiko perampokan dan serangan binatang buas, belum lagi hasil panen yang tak selalu bagus, tapi di tengah tantangan itu mereka tetap mencoba bertahan. Jadi biarlah saya akan menikmati kopi mereka dan para petani lainnya apa adanya karena kita mungkin sering lupa, sebagaimana dikatakan oleh Daniel Webster, orang-orang seperti Mar, Arham, Bapaknya Iwan, Iwan Fals dan Yusri adalah peletak fondasi sebuah peradaban yang memungkinkan kita bisa menikmati sebuah gaya hidup melalui secangkir kopi. (Tulisan ini saya dedikasikan buat keluarga besar Sumarhum, Yusri, Bapaknya Iwan, Arham, Iwan Fals, berikut Mar dan istrinya .. you’re the unsung heroes ! ). 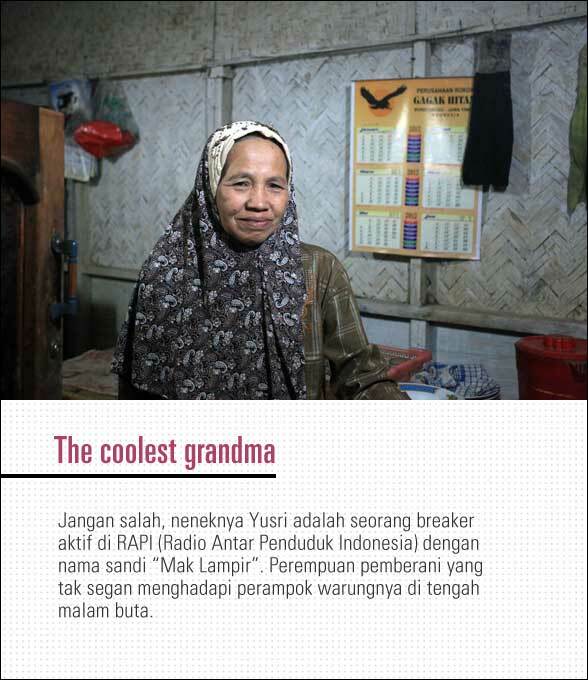 Image 12: The coolest grandma.Make no mistake; Yusri’s grandmother was one active operator at RAPI, Indonesian Inter-Population Radio program. With Mak Lampir (red. Crazy witch) as her nickname, this brave woman does not hesitate to stall robbers at midnight. Image 13: Grandma stalls. If you want to visit Ijen crater, this is the last stop before heading to the region. It’s a stop over for those who climb up or down to and from the crater – a perfect spot to enjoy an Arabica Bondowoso coffee. Wong kito apo kabarnyo, hehehe perkenalkan Nama saya Dody dan saya baru berkenalan dengan si item yang mempesona… Bang Toni its wonderfull adventure, nanti kapan-kapan maen ke Kerinci, di jamin hasil jepretannya is elok nian oiii… tq Bang. Eh ada wong kito galo 🙂 Salam, semoga saya sempat ke Pagaralam nan permai itu. This is one of the best post in early 2012. ‘Nuff said. “kopi seakan menemukan jati dirinya dalam memaknai sebuah ketulusan orang seperti Mar dan rekan mereka, para petani kopi yang begitu bersahaja dan saya yakin Anda menyetujuinya.” I agree ! Seperti liputan sebuah expedisi, dan yang bacapun seolah ikut dalam perjalanannya. 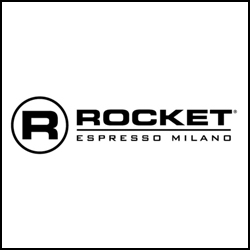 Semoga cikopi.com dan Java Raung Coffee akan lebih sukses lagi. Semoga terwujud ya Mas Andi … Sebagaiman mana yang saya katakan, langkah selanjutnya adalah mendorong Pemda setempat agar segera berinisatif melakukan pendaftaran Indikasi Geografis ke Dirjen Hak Atas Kekayaan Intelektual di Jakarta. Yang ada di pikiran saya dalam minggu minggu ini hanya ada satu saja. Kapan saya akan bisa kembali lagi menengok gubuk pak Mar hanya untuk duduk dan ngobrol dgn beliau sambil minum kopi buatan sang istri sebelum meneruskan tujuan saya lainya, yaitu untuk mampir di warung mak Lampir bertemu dengan si wanita baja itu? Kalau ke gubuk pak Mar, tentu butuh seorang penterjemah, but the good thing is I have Yusri yang selalu ada untuk itu. Buat Toni, Willy dan Yusri..you guys adalah tiga human being yang luar biasa yang pernah saya kenal. Mas Mono, you are too, it’s my privilege to meet someone who can connect instantly when talking about coffee. Ungkapan Terima Kasih Kami Persembahkan Kepada Bp.Toni Wahid,♍as Willy ∂ɑπ Kang Mono atas Kehadirannya di pondok Java Raung..Cikopi Telah menjadi pemicu ∂ɑπ Pemacu semangat Kami untuk Terus berupaya memperkaya Khazanah Kopi Indonesia..Java Raung Hanyalah Wadah Untuk Para Petani seperti P.Mar yg Menurut kami adalah Investor Sejati…. Sama2 Mas dan saya sampaikan penghargaan atas sambutan yang sudah diberikan selama kami berada di Bondowoso. Untuk Pemda Jawa Timur saya menghimbau agar memberikan dukungan kepada para petani di Bondowoso dengan memfasilitasi mereka untuk mendapatkan Indikasi Geografis. Sudah saatnya kopi Bondowoso menjadi khazanah kekayaan dan kebanggan masyarakat Jawa Timur dan saya yakin Puslit dan petani setempat akan memberikan dukungan penuh atas inisiatif ini. Bagaimana Pemda ? Aamiin Bang Win, belum kesampaian juga niat saya ke Takengon berjumpa dengan para petani di sana. Semoga segera bisa terwujud ya. Mantap om Ton,.. such amazing adventure.. amazing story of Java Raung and the truth behind “Putri Gunung”.. Biarpun perjalanan yg berat mulai awal sampe akhir, but it’s all trully unforgetable moment..
Terima kasih kepada seluruh peserta, Keluarga Yusri, dan semua petani2 serta orang2 disana. Benar2 pelajaran yg amat berharga buat saya..
Keren euy tulisannya kang Toni, inspiratif banget.. saya termasuk pencinta blog cikopi, salut buat Mas yusri dan petani kopi di Bondowoso. sayang saya belum pernah nyicipin Java Raung sama si Petung. Makasar … segera menyususul ! trimakasih banyak dan penghargaan yang sebesar-besarnya kepada Bapak Toni Wahid..
atas kunjungan dan perhatiannya terhadap petani kopi khususnya Petani Kopi Bondowoso.Maju terus dan suses CIKOPI.COM. Kepada kakak Tercinta H.Yusriadi dan Ayah H.AM.Sumarhum Dan Semua Petani Kopi Indonesia. Perjuangan yang tiada henti melalui Sebutir Biji Kopi.smoga tambah semangat dan Terus Berkarya. Untuk semuanya terus Berkolaborasi Dan dan Menjalin Hubungan erat antar pemerhati Kopi,pengusaha, dan Petani.. demi kemajuan perkopian Indonesia. Ditulis dengan sepenih hati … supaya pembaca bisa merasakan atmosfir perjalanan kami dan kehidupan petani di sana. apalagi sama orang yang paling jago menghambat perjalanan itu..
dan yang lebih seru lagi, kami bangga Java Raung dan “Si Petung” tersaji dengan harum di Treasure Coffee..
gak bisa komentar utk liputan yang satu ini, hanya merinding..!! beda sekulit ari dengan pedalam gayo sana, barangkali ban sepeda motor di belit rantai belum ada kali di ketinggian bondowoso, tapi digayo sono ada, dua orang saja dibumi pertiwi ini ada yang seperti bung tonny, dalam jangka 5 tahun kedepan coffee lovers akan numbuh 10 % di indonesia ini …YOU ARE THE MAN. Bersiaplah, rang Gayo satu ini juga punya kopi bagus ! Kenangan masa kecil memang sulit dilupakan bukan ? 🙂 Makasih Mas Ferry, mungkin sudahw aktunya untuk kembali berkunjung ke sana ..
Demi pembaca yang satu ini saya rela ke Bondowoso, walau memang udah niat sih. Your wish is done ! Takjub bacanya, sayang telat beberapa jam dan kurangnya informasi jadi ga bisa ikutan acara ajaib seperti ini , mudah2an dimudahkan jalanya biar bisa ngikutin jejak Pak Toni. Cak Wang A Roasting Machine in the Seven Million Rupiah Range.